Data-bound Web server controls are controls that can be bound to a data source control to make it easy to display and modify data in your Web application. Data-bound Web server controls are composite controls that combine other ASP.NET Web controls, such as Label and TextBox controls, into a single layout. In addition to enabling you to bind the control to a set of data results, data-bound controls enable you to customize the layout of the control using templates. You can work with a data-bound control by binding it to a data source control such as an ObjectDataSource or SqlDataSource control. The data source control connects to a data source such as a database or middle-tier object and then retrieves or updates data. The data-bound control can then use this data. The GridView control displays data as a table and provides the capability to sort columns, page through data, and edit or delete a single record. Note that these are the only fields which we can use in a GridView control. We use TemplateFields, when we wish to display ASP.Net controls in a GridView column, to provide additional functionality in the user interface. A Template field supports many types of templates and a list of template types is given in the table below. We can create TemplateFields in the GridView control using <TemplateField> element. a. Declare the GridView and set the AutoGenerateColumns property to ‘false’. b. Create a Template column using <asp:TemplateField> tag within the <Columns> element. Create within the <asp:TemplateField> element to display value of field as text. Create <EditItemTemplate> to display TextBox control to modify value of field when editing the record. The DetailsView control renders a single record at a time as a table and provides the capability to page through multiple records, as well as to insert, update, and delete records. The DetailsView control is often used in master-detail scenarios where the selected record in a master control such as a GridView control determines the record displayed by the DetailsView control. For more information, see DetailsView Web Server Control Overview. The FormView control renders a single record at a time from a data source and provides the capability to page through multiple records, as well as to insert, update, and delete records, similar to the DetailsView control. However, the difference between the FormView and the DetailsView controls is that the DetailsView control uses a table-based layout where each field of the data record is displayed as a row in the control. In contrast, the FormView control does not specify a pre-defined layout for displaying a record. Instead, you create templates that contain controls to display individual fields from the record. The template contains the formatting, controls, and binding expressions used to lay out the form. You can specify whether the FormView control renders content using tables by setting the RenderTable() property to true. The Repeater control renders a read-only list from a set of records returned from a data source. Like the FormView control, the Repeater control does not specify a built-in layout. Instead you create the layout for the Repeater control using templates. For more information, see Repeater Web Server Control Overview. The DataList control renders data as table and enables you to display data records in different layouts, such as ordering them in columns or rows. The DataList control does not take advantage of the capabilities of data source controls for modifying data; you must supply this code yourself. The DataList control differs from the Repeater control in that the DataList control explicitly places items in an HTML table, where as the Repeater control does not. For more information, see DataList Web Server Control Overview. The ListView control displays data from a data source in a format that you define using templates. The template contains the formatting, controls, and binding expressions that are used to lay out the data. 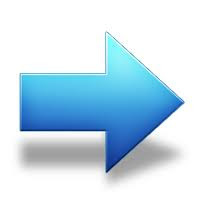 The ListView control is useful for data in any repeating structure, similar to the DataList and Repeater controls. However, unlike the DataList andRepeater controls, the ListView control implicitly supports edit, insert, and delete operations, as well as sorting and paging functionality.